(Honolulu) – DLNR announced today that, after applying a Hawai’i Supreme Court ruling from last year to an existing DLNR rule, no aquatic life may be taken for commercial aquarium purposes off West Hawai’i until an environmental review is completed. The court ruled on September 6, 2017, that an environmental review must first occur before permits can be used to catch aquatic life for the commercial aquarium trade. Following that ruling, State Circuit Court Judge Jeffrey P. Crabtree terminated and canceled all fine mesh net permits. DLNR rules state that a Hawai’i State Aquarium Permit is also required to take any aquatic life from waters off of West Hawai’i for commercial aquarium purposes. “Although the state permit referenced in the rules is not defined, the intent of the Supreme Court decision is clear,” said Bruce Anderson, Administrator of the DLNR Division of Aquatic Resources. “As a result of these court decisions, it is clear that fine mesh nets cannot be used anywhere in Hawai’i in the commercial aquarium trade until the environmental review process has been completed. Given the intent of the court ruling, any taking of aquarium fish or other animals for the commercial pet trade in West Hawai’i is prohibited until the environmental review has been completed,” said Anderson. Editor’s Note: To summarize the likely reason for this latest action from the DLNR, it seems that aquarium fishermen continued to fish for the aquarium trade, simply avoiding the fine mesh nets that were banned as a result of the court action, utilizing alternative fishing methods instead. Fishermen were following the letter of the verdict, not the spirit of the decision. This statement appears intent to end this side-stepping, at least in Hawai’i’s main aquarium fishery, where the “White List” restricting fishing to just 40 species was already in place. Does this geographic constraint open up a second loophole by not closing aquarium trade harvest statewide in all fisheries? 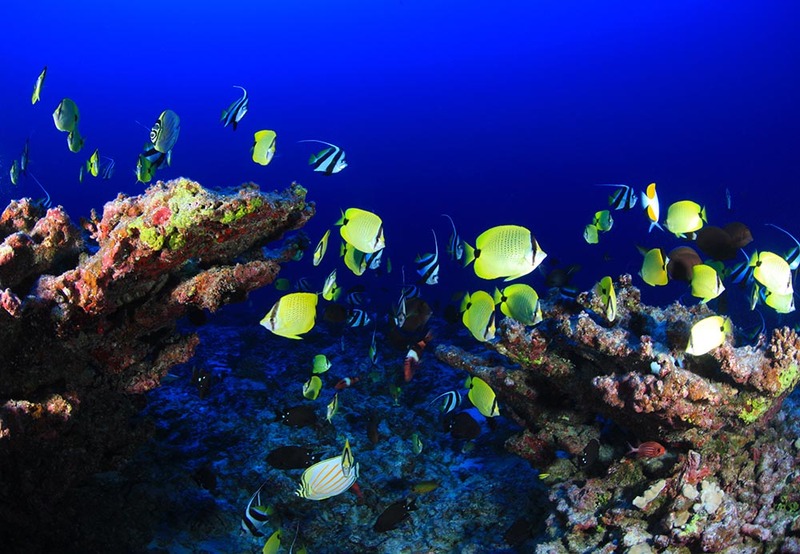 West Hawaii Today in the last few days reported an increase in aquarium fish shipments.